This ultra-soft stick delivers a satin-smooth feel and does not leave white marks. This product is ideal for chapped or dried out lips. 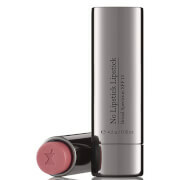 After use, lips are repaired and supple, and all their softness is restored. Moisturizes and nourishes with Sunflower Oil. 90.9% of the total ingredients are from natural origins. 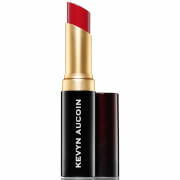 Apply daily to lips and the lip contour as often as necessary, both in winter and summer.An ideal base for lipsticks with strong color pigments. Perfect Remedy for Dry Lips!! I have been looking - literally - for years for a nighttime remedy to dry lips. Nothing ever really worked as well as I wanted it to, until I went out on a limb and tried NUXE Reve de Miel Lip Moisturizing Stick. I apply it at night before going to sleep, and it protects my lips all night - it has really helped my lips retain moisture and become softer. Nuxe Moisturizing Lip Stick helped heal my very dry, cracked lips. After working several days outside in a dry, cold winter wind, I needed help with re-moisturizing my lips. 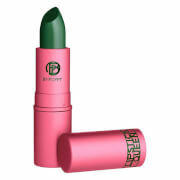 While this product does't have long term staying power, it does have what it takes to heal extremely dry lips. Just reapply as needed! Thanks! I used to use the NUXE Reve de Miel lip balm in a jar at night to keep my lips moisturized overnight, and it works really well. I was excited to find that they had created a stick form of this amazing balm and had to try it. Not a single regret here for purchasing this lip balm stick! It is just as moisturizing as the balm in a pot but in a much more convenient form. I used this lip balm stick over the course of a horrendous 28 trip overseas every few hours, and despite the dry air in the three planes I took during that time and the cold dry air that awaited me at my destination, my lips remained soft and smooth and didn't crack at all. This will be a terrific moisturizing & protective layer applied lightly under lipstick/gloss this winter, and is so easy to carry around everywhere I go that I am using it all the time. I have a cold now and even in the dry winter, heated air in my home my lips are still soft as silk thanks to this balm. Highly recommended -- particularly because NUXE ingredients are of the highest all-natural quality and I know this balm will last me a good long time.